I’ve never been a huge fan of the Bourne series of films. Sure, they’re fun movies to watch, and the action scenes are pretty great, but they’ve never been very substantial in my opinion. 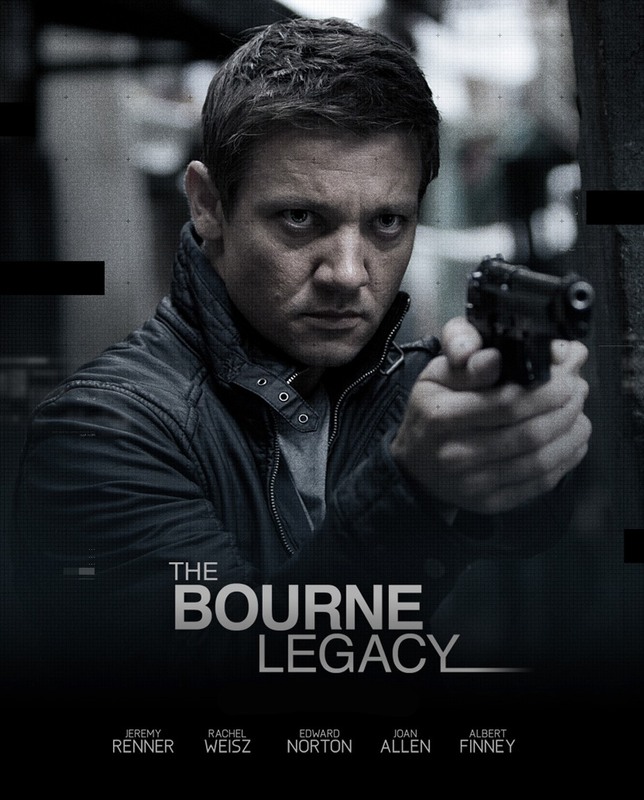 The plots have never been known for their complexity, and unsurprising The Bourne Legacy is no exception. Similarly, this new addition to the franchise provides several visually satisfying action sequences, but not enough to offset the lack of a substantial plot and generally uninteresting political conversations that dominate the film. When rouge government operative Jason Bourne appears in New York and threatens to expose information about the secret Treadstone Project, Eric Byer (Edward Norton) decides to dissolve the program and dispose of everyone involved. Enter Aaron Cross (Jeremy Renner), a highly trained agent similar to Jason Bourne, who is trying desperately to avoid dying at the hand of the US government. In case you are wondering, yes, I have just given away the entire plot of this film. Not very complicated, even by action movie standards. While I do feel a little ambivalent about much of this film, things really seem to pick up when Jeremy Renner is on screen. Not only is the movie actually interesting when the audience is following his character, but Renner is surprisingly good as the new Bourne action star. Although he was great in both The Town and The Hurt Locker, after seeing his fairly bland performance The Avengers I had my doubts about Renner as a mainstream action star, especially one who was positioned to replace Matt Damon who did such a great job in previous Bourne films. I would argue that Renner ended up doing just as well as Damon in The Bourne Legacy, and actually would be interested in seeing him reprise his role in a later film if they choose to make one. While Renner does do a great job as a sort of cookie-cutter action hero, there is one interesting twist that separates Aaron Cross from similar characters. Cross is effectively a drug addict, depending on special multi-colored pills that keep him at peak physical and mental performance. At times the pills do seem like an obvious plot device, meant to send the hero to one place or another in search of the drugs he needs to fight off government agents in spectacular fashion, but I quite enjoyed this simple addition to the premise. Other then that, this seemed to follow a formula that is very similar to the previous films, even shoehorning in a female character he was protecting, a dynamic that is just about the same is the one in earlier Bourne movies. The last thing I wanted to mention this is probably not a movie you should take young kids to. There is one scene in particular, where a bunch of civilians are methodically killed that is fairly disturbing, and that I thought was a little out of place in this movie. I would be interested to know what you guys thought if you have seen this movie, so feel free to leave some comments down below.